We Love Flamenco It is a living trends in flamenco fashion inspiration. 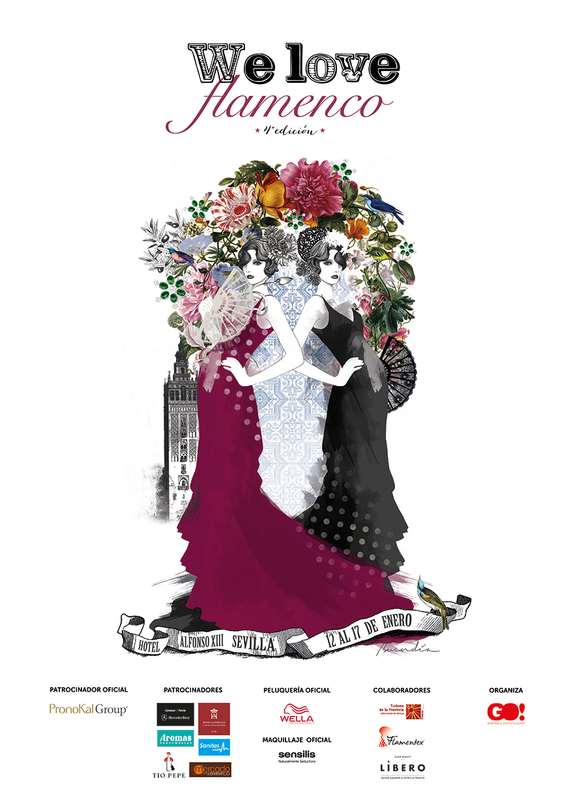 Six days of fashion shows, flamenco fashion, trends and styling with an eye on tradition and another in creative art. A fashion event live a privileged and perfect environment to let you know, Connect with your customers. If you are fond of fashion, looking for ideas to tune your costume face fair or just want to enjoy the vibrant atmosphere of a fashion show, you're welcome. veterans and high specific gravity firms opt for We Love Flamenco, a salon that also promotes and promotes creative talent of young designers. Of the 12 al 17 from January You have an appointment with the fourth edition of this event in the emblematic Hotel Alfonso XIII .